Cook Martin Poulson, P.C. recently hosted an event that focused on the tax changes taking effect in 2018. Understanding how the changing tax landscape will impact you as an individual and/or as a business owner is important, and we know that the information can be overwhelming. Each year, many changes are made to the income tax system in the United States, and each year, citizens often benefit from the changes; however, in many cases, citizens are being impacted negatively. A summary of some of these changes appear below. Many of the changes, like the increase of the child tax credit, will be extended through 2025. This increase will see deductions increasing from $1000 to $2000, per child, and up to $1400 of the $2000 credit is refundable on a tax return. What’s more, credits for other family members is being increased from $0 to $500 per qualifying person. The government also increased the phase-out amount from $100,000 to $400,000 so that more families will benefit from tax credits. In addition to increased tax rates for children, investments made in children’s names will no longer be taxed at their parents’ rates. This means money-saving investments for families all over the country. Other changes include the capping on the amount of taxes paid to local and state governments. 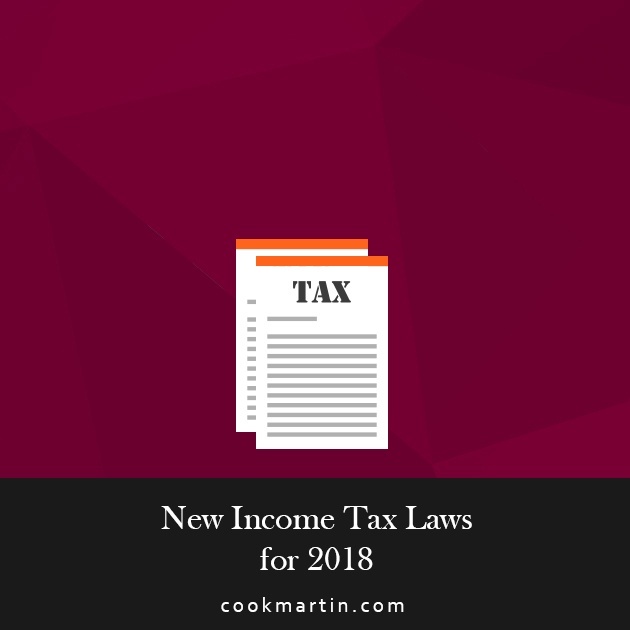 In previous years, the amount of money that could be deducted was not limited; however, starting in 2018, tax payment deductions will be capped at $10,000 per person. Some areas of tax law that have seen major changes include alimony payments. Starting in 2018, payors of alimony will no longer be able to deduct those payments from their income. What’s more, the recipient of the alimony will no longer need to include that income for tax purposes. However, this rule will only apply to newly divorced couples that signed divorce agreements after December 31, 2018. Another area that is impacted by loss of deduction allowance is moving expenses related to a job. This deduction is still allowed for active members of the military, however. In other areas of the tax law, changes to the “affordable care act” will impact citizens. The government has revoked the “affordable care act” and made it so that individual shared responsibilities requirements are reduced to zero. Until the changes are officially made, the entry-level reporting requirements will remain the same. Some areas of the tax law that will stay the same include the continued deduction of student loan interest and the continuation of the American Opportunity credit program. However, some changes to the education tax act include a limit of $10,000 and can be used to pay K-12 education tuitions, college, and post-graduate work. For businesses, changes include a new 20% deduction for qualified business income, which applies only to domestic trades and businesses. However, qualified business income does not include interest, dividends, capital gains or losses, commodity gains or losses, or foreign currency gains or losses. Professional services, such as physicians, lawyers, accountants, dentists, and engineers are exempt from this change and cannot take advantage of the deduction. Other services that cannot claim the deduction include financial services, real estate services, or a business where the “reputation or skill” or a person is the principal asset of the business, such as a consulting service. For businesses, increases in vehicle depreciation cap for years one through four. An increase of nearly $7000 deduction applies to year one, an increase of over $10,000 applies to year two, and nearly $6,000 deduction applies to year three, with over $4,000 depreciation deduction applicable for years four and so on. Research and development credits are available for businesses through 2021 must be amortized over five years. Software developers can classify product research as R&D for up to five years, and foreign research and development can be amortized over 15 years. For C-level corporations, a new tax rate of 21% will apply from 2018 onward. The goal of this rate is to make the United States more attractive to foreign businesses and trade. As a result, it is estimated that taxable income over $90,380 will result in a reduction in income tax, and taxable income under $90,380 will result in an increase in income tax for corporations. It’s important to keep yourself apprised of the changing tax laws in the United States. As an individual, you can benefit from the tax credits and make plans for added expenses that might arise in your life. And for businesses, you can plan for the changes and ensure that you’re meeting the requirements to operate in the country. As certified professional accountants, it is our job at Cook Martin Poulson, P.C. to educate and inform our clients. We take pride in ensuring you have everything you need to make informed accounting and financial decisions in your life.